Earlier on Wednesday, The Guardian published excerpts of a forthcoming book by author Michael Wolff in which Bannon predicts that Special Counsel Robert Mueller will “crack Don Junior like an egg on national TV” over the president’s son’s meeting with a Russian lawyer at Trump Tower in June 2016. 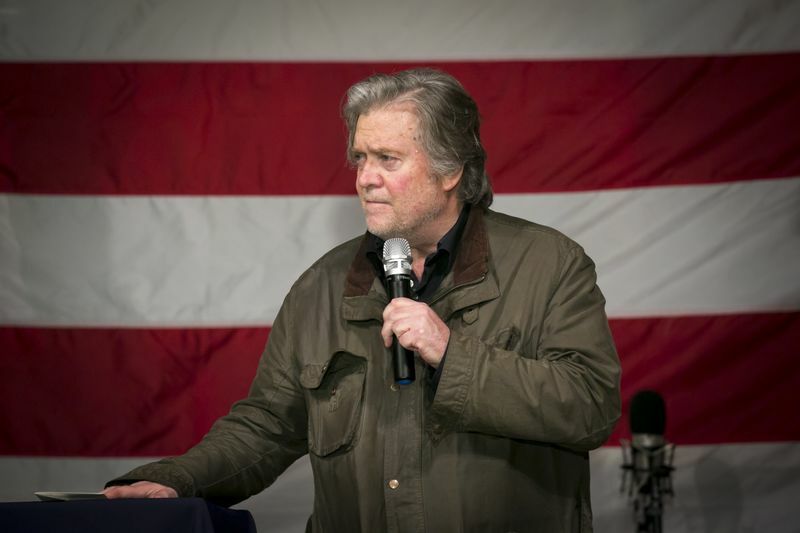 Bannon also called Donald Trump Jr.’s meeting with the lawyer, in which he expected to receive damaging information on Trump’s election opponent Hillary Clinton, “treasonous” and “unpatriotic,” according to the Guardian. Bloomberg News later obtained a copy of the book. In his 265-word statement, Trump went on to attack Bannon for some of his activities at the White House and afterward. He blamed him for the loss of a Republican Senate seat in Alabama in a special election last month and accused him of leaking to news reporters while he served as the White House chief strategist. Wolff, who New York Magazine said conducted more than 200 interviews for his book including with the president and most of his senior staff, also reported that Trump never expected to win the election and had promised his wife, Melania, that he wouldn’t be president. She “was in tears — and not of joy” on election night as it became clear Trump would beat Clinton, Wolff reported. Wolff reported that friends Trump phoned at night after leaving the Oval Office for the day would leak details of the conversations to reporters and that many of them consider him ignorant. Rupert Murdoch, co-chairman of Twenty-First Century Fox Inc. and a close Trump confidante, called him an “idiot” — preceded by an expletive — after one such call, Wolff wrote. Trump’s longtime friend Thomas Barrack called the president “not only crazy” but “stupid,” Wolff reported. Barrack issued a statement denying that he made the comments on Wednesday, and said he had not been interviewed by Wolff. Wolff portrays Trump’s top three advisers at the beginning of his presidency — Bannon, senior adviser and son-in-law Jared Kushner, and former chief of staff Reince Priebus — as consumed by infighting and frequently unable to coordinate strategy. Justin Timberlake Looks Like He’s Going On Tour After Super Bowl Performance! Cursed image dump because usersub is getting a bit soft.